This week sees the launch of the SNES Classic Mini, the high-anticipated micro-console which not only packs in 21 amazing 16-bit classics but also gives the world its first official taste of Star Fox 2, a title which was supposed to launch more than two decades ago but was cancelled at the very last minute. Given the rapid advancement of gaming technology over the past 20 years you might assume that Star Fox 2 – bereft of that all-important nostalgic connection which makes the other games on the SNES Mini seem so appealing – is a tough sell, especially when modern games are fast approaching photo-realistic levels of visual perfection. When placed alongside Hellblade, Destiny 2 or Forza Motorsport 7, Star Fox 2's basic polygon graphics – intended for a '90s audience, lest we forget – seem laughably crude. However, Star Fox 2 remains a fascinating piece of history which, despite all the odds, is actually quite playable and engaging – even when experienced without the aid of rose-tinted spectacles. Before we get onto why the game is worth a punt when you boot up that shiny new SNES Mini, it's worth exploring exactly what made it – and its forerunner, 1993's Star Fox (known as Starwing in Europe at the time of release due to the similarity of the name to a German company called StarVox) is so important in the grand scheme of things. The Super FX chip featured prominently in the advertising for the original Star Fox. While 3D gaming is commonplace these days, back in the 16-bit era it was almost solely the preserve of home computers like the Atari ST and Amiga. Console hardware – such as the Sega Mega Drive and Super Nintendo – simply hadn't been created with complex 3D maths in mind; these systems were build to shift 2D sprites around the screen instead, and performed that role very well indeed. However, as the '90s rolled onwards it became increasingly difficult to ignore the fact that the industry as a whole was moving inexorably towards three-dimensional realism; arcade games like Sega's Virtua Racing and Namco's Driver's Eyes were delivering immersive experiences which blew away what was available to home audiences, and a new generation of powerful, 3D-ready home systems – such as the Atari Jaguar and 3DO – were looming on the horizon. Star Fox's promotional materials boasted about the abilities of the Super FX chip. Nintendo had actually been aware of this paradigm shift before the release of the SNES, and enlisted the help of UK studio Argonaut Software to create a chip which could be placed inside cartridges to drastically boost the 3D muscle of the console. Dubbed the "Super FX" chip, this diminutive piece of tech was the world's first graphics accelerator, and made its debut with Star Fox, a game which sent shockwaves through the entire industry and forced Sega to concoct its own rival, the SVP, which powered a Mega Drive port of the aforementioned Virtua Racing the following year. Other Super FX titles followed – including the superb Super Mario World 2: Yoshi's Island, which harnessed the power of the chip for advanced 2D effects and is also included on the SNES Mini – but by the time Star Fox 2 entered development, the primitive 3D visuals it was capable of creating looked a generation behind what Sony and Sega were promising with their PlayStation and Saturn consoles, due to arrive in 1994 in Japan. While no official statement from Nintendo has ever been forthcoming on the matter, members of the Star Fox 2 development team have expressed the opinion that the game was canned to avoid unwelcome comparisons between it and titles like Ridge Racer and Daytona USA, then considered to be the cutting edge of home console visuals. Despite being finished and fully mastered, Star Fox 2 was mothballed ahead of its planned 1995 launch and many assumed that it would never see the light of day – until earlier this year, when it was confirmed as the "hidden" 21st game on the SNES Mini, unlockable upon completing the first level in the original Star Fox. If you've played the original Star Fox then its sequel might seem a little odd at first; it jettisons the linear pathway structure and gives you a tactical map to navigate at will. The aim is to pick apart the evil forces of Andross while defending your home planet of Corneria. Planets must be attacked to remove of their ability to launch missile strikes, while massive space carriers have to be destroyed from the inside to remove them from play. Unfriendly missiles can be intercepted mid-flight before hitting Corneria, and you have to deal with the unwanted attentions of the sinister Star Wolf team, which would later return in Star Fox 64 and Star Fox Zero. Star Fox 2 allows you to approach its missions in an order of your choosing. It's possible to complete Star Fox 2 in less than an hour, but this isn't fully representative of the amount of gameplay on offer. Each gameplay session is randomised, meaning that different planets will become enemy bases and the pattern of gameplay is subtly altered each time. There's also a focus on dealing with enemy attacks as effectively as possible, as you're awarded a rank at the conclusion of each session. You'll also need to find and collect the various medals hidden in each level to fully complete Star Fox 2, a process which can take many repeat runs. While the visuals are undeniably rough around the edges and the frame rate is painfully jerky at times, Star Fox 2 hasn't aged anywhere near as badly as you might expect. The all-important Nintendo polish is present and correct, and the controls feel tight and precise – especially when you transform your Arwing craft into its walker configuration, a mechanic which was recently resurrected for Star Fox Zero on the Wii U. Despite only just seeing release now, it's clear that Star Fox 2 has influenced the direction of the series; Star Fox Command on the Nintendo DS adopted a similar tactical approach and was developed by Q-Games, a studio formed by former Argonaut staffer Dylan Cuthbert, who worked not only on Star Fox but also on Star Fox 2. 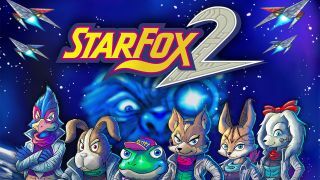 The fact that we're getting the chance to play Star Fox 2 in 2017 is nothing short of remarkable, but what's even more surprising is that out of all of the games on the SNES Mini, it's one we can't help but keep returning to. Perhaps it's because we're seeing it with totally fresh eyes, free from any traces of cloying nostalgia, but a more likely explanation is that behind those basic 3D visuals and the stuttering frame rate, there's a solid gameplay concept which has been unfairly sidelined for far too long. For a full overview of the new retro console check out our SNES Classic Mini review.